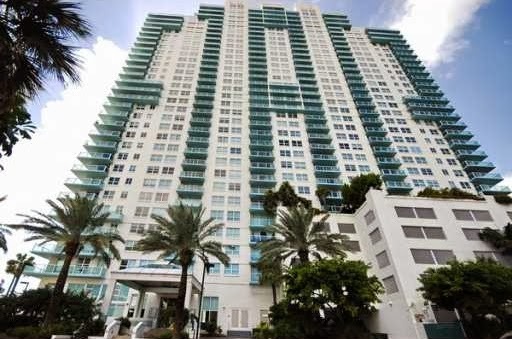 Located in the heart of South Beach is The Floridian. Its contemporary architecture is beautiful on the Miami Beach skyline. With unbelievable water and Downtown Miami views, it is no wonder that so many want to live here. This unit that sold on December 12 is a corner unit with a wrap balcony that looks out over South Beach with the Atlantic Ocean in the distance. Inside there are wonderful features like walk-in closets, large open living areas and two bedrooms that are situated on each end of the unit. Condominium amenities are plentiful with a resort-style pool, tennis courts, fully-equipped fitness center, concierge, security and more. List prices at the Floridian currently range between about $400K and almost $900K. Most two-bedroom units list in the $600s. As for rentals, the rates typically range from about $2,500 to over $4,000. A SoFi property for under $200K? This unit is a completely remodeled one-bedroom unit with stainless steel appliances, granite counter tops, marble floors, and a washer and dryer in the unit. 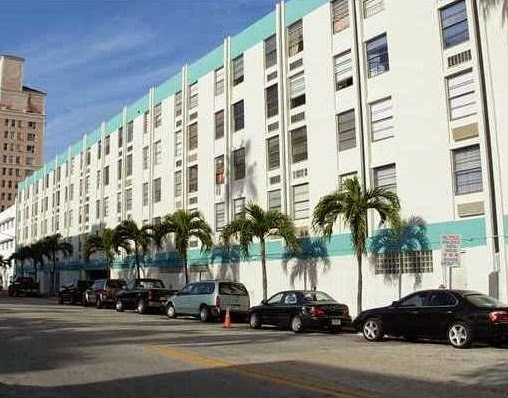 There is no better location to live in South Beach than South of Fifth. Liberty House was built in 1959 and has a vintage classic Florida appeal. It is situated on a quiet tree-lined street only a few blocks from the beach and within walking distance to great restaurants and fun on Ocean Drive. This is a small condominium that has great potential as an investment. Sale prices for the four units sold in 2012 ranged between $100K and $160K. This year the only unit that has sold thus far is this one at $196K. This was a huge opportunity to live ½ blocks from the ocean and oh so close to the fantastic shopping and dining in South Beach. This unit at the Hampton on Washington was recently renovated with marble floors, stainless steel appliances, stone counter tops, and a marble bath. The large windows in the living room and bedroom overlooked, tree-lined Pennsylvania Ave On top of that it was sold furnished with glassware, dishes, flatware, linens, lamps, window treatments, cove lighting and more. There are several units listed with list prices ranging from the mid-$100s to the upper-$200s. Four units have recently sold with sale prices falling in the mid-$100s. As for rental property, investors can expect to garner monthly rental rates between $1,400 and $2,000 depending on the size and views. Of course, to get a true picture of the range of sale prices in South Beach real estate, one unit sold this week at Continuum South Tower. This beautiful unit with almost 2,000 square feet as well as two bedrooms and two baths has so many amenities throughout the residence from amazing panoramic ocean views on large terraces to a wonderful kitchen, luxurious walk-in closets, and special media pre-wiring just to name of few. Continuum is truly the ultimate in luxury living on South Beach with everything it has to offer from the private beach club to the exotic resort pool, tennis courts and more. List prices range from almost $800K for a one-bedroom in the North Tower to almost $30 million for a huge 8,000+ square foot penthouse in the South Tower (three units combined into one). For rentals, only annual leases are allowed with monthly rates falling between $4,500 and about $30,000. Situated a half-block north of SoFi, this is an updated and lovely studio. It features wood floors, walk-in closets, gas stove and stainless appliances as well as lots of storage. The location is ideal with everything in South Beach just a short walk away. Additionally, parking is available for $50 per month. Units at Pinewood are ideal for first time buyers, investors and buyers looking for a weekend getaway. Only two studios have sold recently with both sale prices at $140K. Investors typically garner about $1,000 to $1,300 per month for monthly rental rates with similar properties. 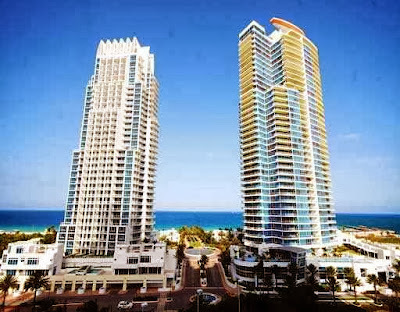 While the perception is that South Beach real estate is only for the rich and famous, recent sales prove that it can be very affordable for all types of buyers from first-time buyers and real estate investors. This is a wonderful part of the city that draws so many different people. South Beach real estate is very much worth checking out.